The sampaquita flower is a tropical flower that grows wild throughout southern Asia and the South pacific. It produces waxy white flowers and glossy green foliage on climbing vines. The attractive blooms and heady fragrance has made this a popular flower for garland making, adorning the hair or in floral arrangements. What Does the Sampaguita Flower Mean? The sampaguita flower is considered the flower of love in many South Asian countries, Indonesia and the Philippines. It is used in wedding and religious ceremonies to symbolize love, devotion, purity and divine hope. Sampaguita is the common for ‘Jasminum sambac’, a flower in the same family as the common jasmine (Jasminum grandiflores). 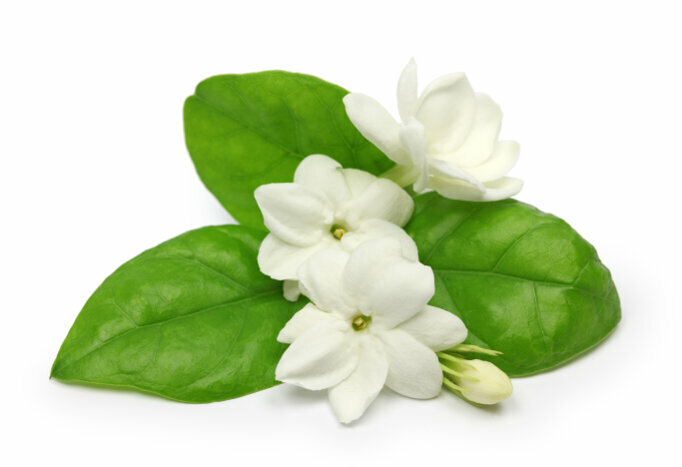 Sampaguita is also referred to as the Philippine Jasmine or Arabian Jasmine. 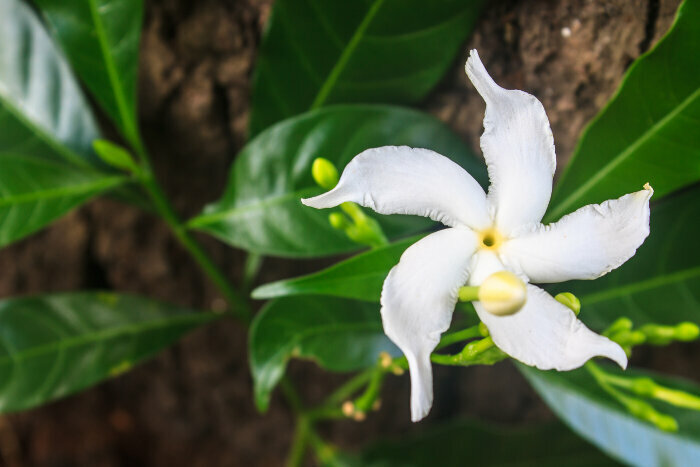 It differs from the common jasmine in that it grows on an evergreen vine, while many common jasmine grow on smaller shrubs or bushes. The flowers and the fragrance are similar. The common name sampaguita is believed to come from the Spanish words “sumpa kita” which means “I promise you.” According to legend, a young princess named Lakambini inherited the rule of the Kingdom when her father passed away. But, she was inexperienced in the way of government rule and the land was in danger of being invaded. When Prince Lakan Galing decided to help the princess, she quickly fell in love with him. On a hill over the sea, she embraced him and promised him marriage with the words sumpa kita meaning I promise you. Shortly afterward, Galing decided to go to sea to seek out and destroy the enemy, leaving Lakambini behind. Each day, the princess went to the top of the hill to watch for the return of her prince, but he never returned. After days of watching from the hilltop, Lakambini collapsed and died of grief. She was buried on the hilltop where she had promised marriage to Galing. A short time after her death a tiny vine covered with fragrant white flowers appeared. The natives named the flower sampaquita. It symbolizes the undying love and devotion of the grief-stricken princess. The sampaquita flower has a long history as a symbol of love and devotion. In fact, in Indonesia, sampaquita garlands were often exchanged as a symbol of love with the intention of marriage. While garlands are still used in wedding and religious ceremonies today, most couples also exchange rings.The sampaquita flower is the National Flower for both Indonesia and the Philippines. Sampaquita flowers have white petals with a soft yellow center and take on the color meaning of other flowers. The fragrance from the sampaquita flower is used in cosmetics, hair products, and aromatherapy. Medicinally it is used in herbal remedies for headaches, diarrhea, cough, abdominal pain and fever. The petals are used in herbal teas and the ground roots can be used to treat snakebites. It is also believed to be beneficial in healing cuts and wounds. Sampaquita flowers are appropriate for weddings and other religious ceremonies, but can also be included in floral bouquets presented to mothers, grandmothers and close female friends to express love and dedication. A bouquet of sampaquita flowers in the bedroom or dining area sets the mood for love and romance. The sampaguita flower’s message is one of love and devotion and are sure to be appreciated by the special women in your life. “Sumpa kita” is Tagalog, not Spanish. So “sumpa kita” means “I promise you”? Now it makes sense. Because I mistook “sumpa kita” to mean “I curse you” or something. And because I am from the North (an Igorot), I have a limited understanding of Tagalog. 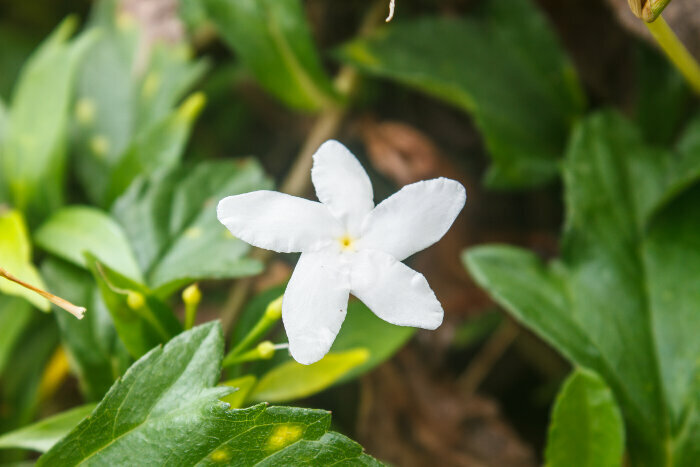 Lovely legend, etymological meaning and significance of the Jasminum sambac flowers.